In our surf lessons in Moliets, we teach with a maximum of 8 students per instructor. This ensures, firstly, that you are safe in the water, and secondly, that your instructor can provide you with plenty of individual feedback and advice. Our small lesson group sizes allow you to progress your surfing faster. 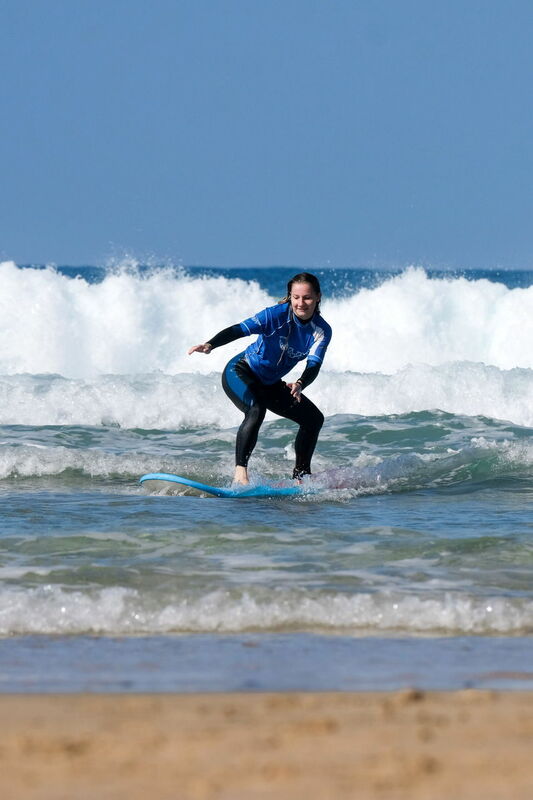 The primary focus of our surf lessons in Moliets is practical experience in the water. Thus, you will spend the overwhelming majority of your surf lesson time in the water. However, we also teach surf theory too, as such knowledge is indispensable when you’re learning to surf. Outside of lesson times, the surf equipment is always available for you to use, free of charge, so that you can keep practicing what your instructor has taught you. At our surf school in Moliets, you can choose a surf course of either 14 or 24 sessions over the course of a week. 1 session lasts 45 minutes. The majority of our guests take the 24-session programme. For this, sessions are usually grouped into lessons of 3 hours and taken over the course of 6 days. However, please note, timetabling of lessons can vary depending on the local surf conditions. In Moliets, we offer surf lessons for all ability levels. Students are grouped by ability level to maximise progress in the water. If you’ve never stood upon a surfboard before, but you want to learn how to, then our beginner course is for you! 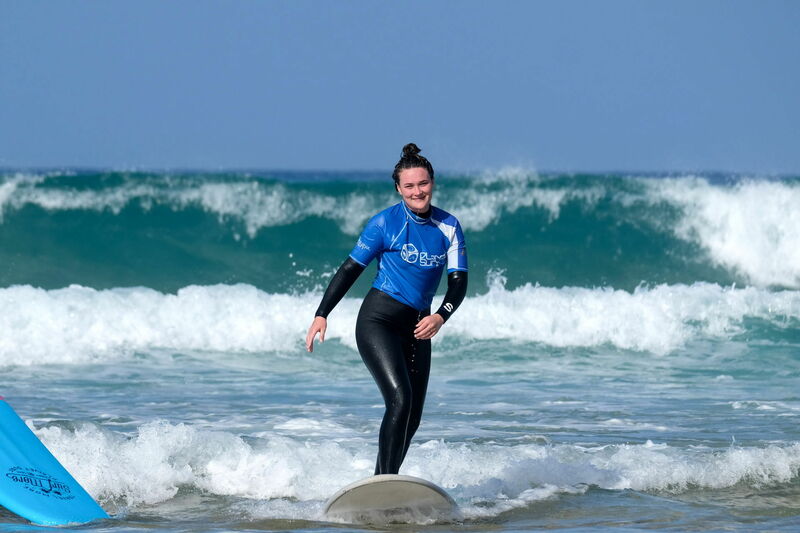 Our highly experienced surf instructors will take you through the basics of the sport and get you up and standing on the board, and surfing in the whitewash. You’ll be taught the correct technique from the start to ensure your progress isn’t limited further down the line. 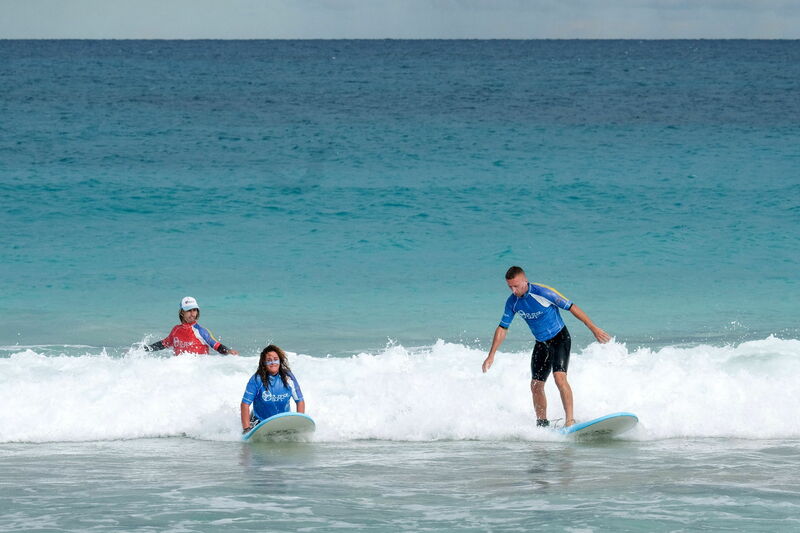 Our instructors in Moliets look forward to sharing in your joy of surfing for the first time! 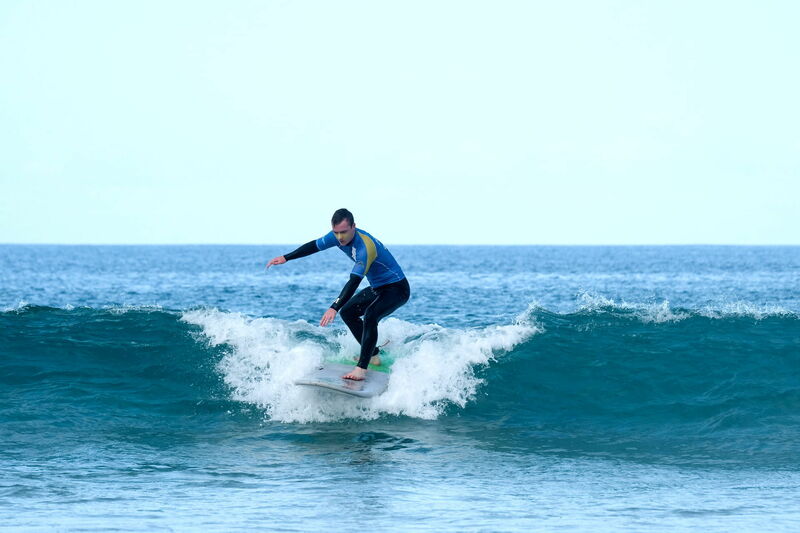 If you’ve already got some experience of surfing in whitewash and want to progress to learn how to surf green, unbroken waves, then our intermediate level surf course is for you! One of our professional surf instructors will teach you how to get ‘out back’ and surf your first green waves. Over the course of the week you’ll progress to start to learn how to turn on the waves too. 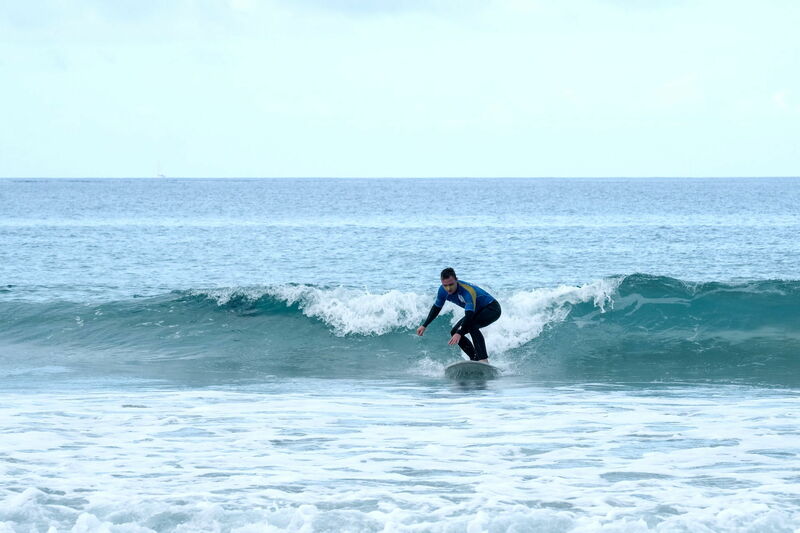 Come take your surfing to the next level with our surf lessons in Moliets! 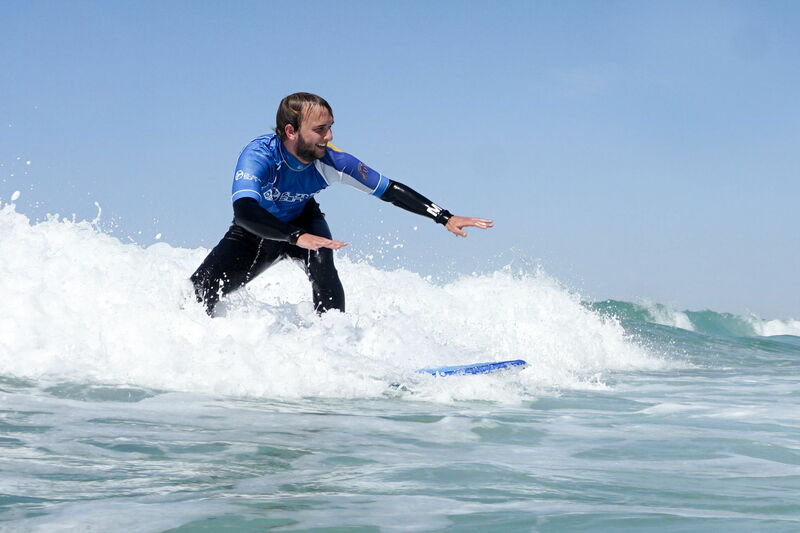 For surfers who are already comfortable in waves of 1.5 metres there is our advanced surf course. You’ll work on manoeuvres and perfect your technique. 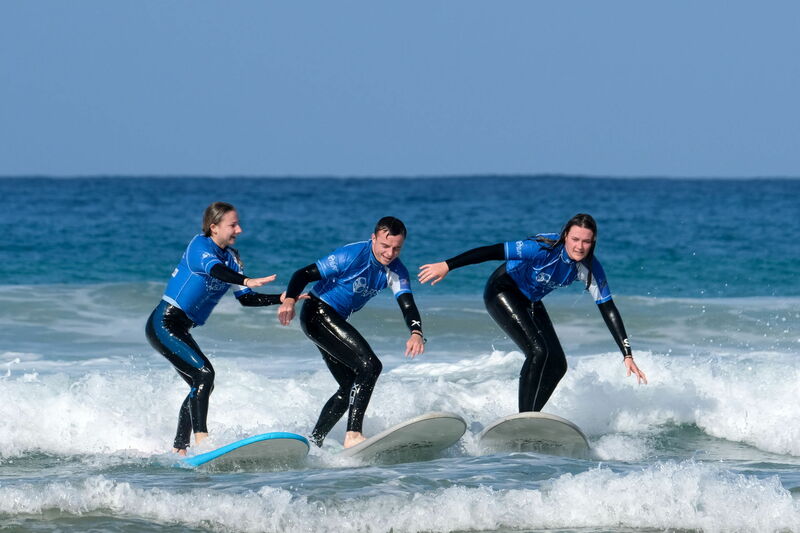 Our surf instructors will work with you to crack the manoeuvres you perhaps just can’t get down on your own and offer you plenty of individual help and advice. 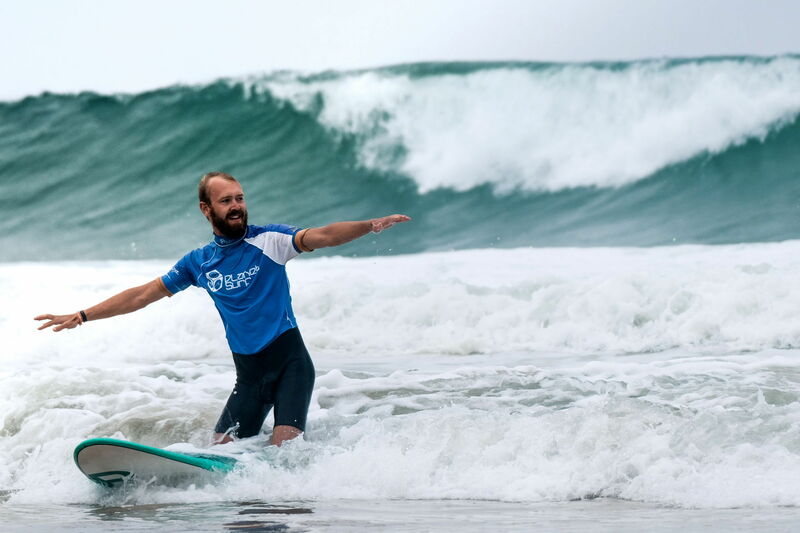 From cutbacks to aerials, whatever you want to master, come join our surf lessons in Moliets.